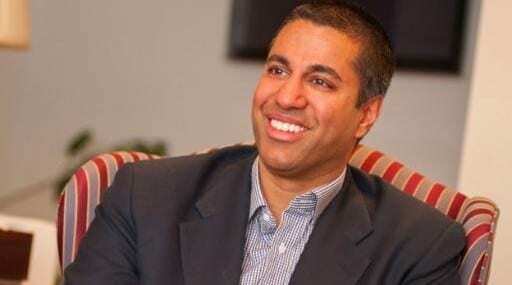 FCC Chairman Ajit Pai has been given the green light for a second five year term at the US regulator, as the Senators voted 52-41 in favour of the Republican. It shouldn’t come as a massive surprise, but there still might have been a few tense days at the Pai household. In total, Pai received positive votes from 48 Republican Senators and four Democrats, while all the nay-sayers were in the Democrat corner. “I am deeply grateful to the US Senate for confirming my nomination to serve a second term at the FCC and to President Trump for submitting that nomination to the Senate,” said Pai. Pai will continue to serve as Chairman until the end of the Trump Presidency, as this role is decided by the President alone. Unless Trump has a change of heart, which is not out of the question, critics will have to wait until the next Democratic President to regain control of the top chair at the FCC. And the nay-sayers to the nominations certainly made their feelings known. “Mr Pai says that he is for real net neutrality, and we have tried to pin him down on a whole host of policies that really get him to commit to the essence of it, but he mostly says a version of what the big cable companies say,” said Ron Wyden, Senator for Oregon. While it is hardly unusual for members of the opposition party to disagree with nominations or policies, the focus here is primarily on the pro-commerce stance which seems to be forming under the Pai leadership. Pai certainly has more of a light-touch regulation approach compared to his predecessor, Tom Wheeler, but it is still early days; we are yet to see the outcome of this philosophy. Rules on net neutrality have been heading for the chopping block for some time, but this hands-off approach for regulation could see market consolidation. Rumours have been swirling around Sprint and T-Mobile for a couple of weeks now, and the recent Mobile Wireless Competition Report does seem to be paving the way towards the green light for the pair. Under Wheeler, the FCC opposed any consolidation between the big four players in the US, though the most recent market report concluded a satisfactory level of competition in the market, and also noted the importance of the smaller, more regional players. Such a positive view on competition in the market does seem to be setting the scene for a pair-up. Pai has only been in charge of the FCC for a matter of months, so it will be some time before we see the real world impact of his changes on a serious level, but this news at least guarantees another five years of pastry puns.